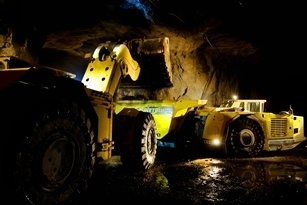 African Aura Mining Inc. has announced plans to undertake a 4,000m diamond drill programme at its Weaju gold project in western Liberia to further expand and define the resource on the Company's Bea Mountain mining licence. In an effort to boost regional trade, the East African Community (EAC) has moved to improve road network from the Tanzania border through Kenya and Uganda to Ethiopia and Sudan. Atlas Copco’s new Minetruck MT42 represents the next generation of underground trucks, designed to maximise productivity and provide increased safety and excellent operator comfort in underground haulage applications. Roads are the backbone of a country’s infrastructure and the frame of economic development. They serve as key infrastructural units which provide linkages to other modes of transportation like railways, shipping, and airways. Roads also support the growth of agriculture and other industries, and furnish easy access to social infrastructure such as schools and health centres. The movie ‘The Towering Inferno’ tells the harrowing tale of an iconic building design gone wrong. In the world of Facilities Management (FM) one cannot help but wonder where the FM team was in the design of this fictional building?